The Subaru XV Concept has made its debut at the 2016 Geneva Motor Show after an initial teaser was released earlier. 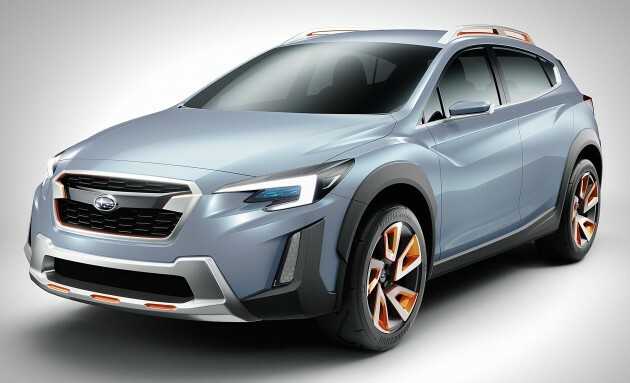 The concept serves as a preview for the next generation of Subaru vehicles, and as the name suggests, this one here is for an all-new XV crossover. Subaru’s next-generation Dynamic X Solid design philosophy is up front and centre here, which is also influential on Subaru’s earlier concepts – the Impreza Sedan and Impreza 5-Door. On the outside, the XV Concept gets the brand’s trademark C-shaped lighting elements for the front and rear. The front-end itself features a hexagonal grille with a silver surround, along with matte black and orange accents. Along the side, the character line portrays an athletic crossover, running from the headlights over the wheel arches towards the rear of the vehicle from the lower door panel. Flared fenders further accentuate the line, with 19-inch aluminium wheels (wrapped with 245/50R19 size tyres) fitted within them. For added athleticism, roof rails are packaged here too. 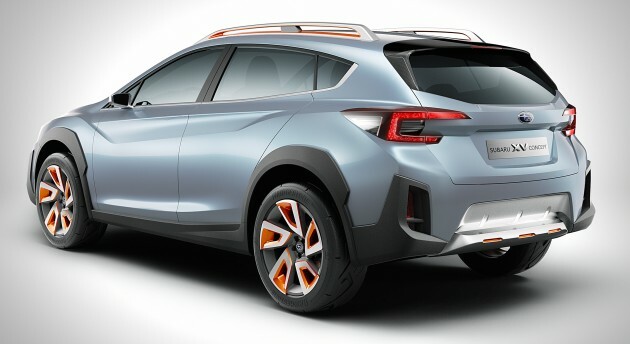 The rear of the XV Concept certainly appears to be more compact compared to the current car, and more angular as well. Large matte black vents flank a central silver trim piece along with a revised tailgate. Breaking out the measuring tape, the Subaru XV Concept is 4,520 mm long, 1,920 mm wide and 1,570 mm tall, with a wheelbase of 2,670 mm. When placed alongside the current model, it is effectively 70 mm longer, 140 mm wider, but 45 mm shorter. That should explain its lower stance as you can see in the photos. Other numbers provided by Subaru include a seating capacity of five, the same as the number of doors it has (duh), as well as a boot space of 310 litres, exactly the same as the current-generation XV. No word on the powertrain, although a boxer four-cylinder petrol engine would most likely be a viable candidate, mated to Subaru’s Symmetrical All-Wheel Drive system and Lineartronic CVT. XV, together with BRZ, are sportskura-kura. Forester XT baru ada uhm. Oh forgot, XV airbags berapa biji? Tak guna lah. Subaru Msia tak suka curtain airbag dan side airbag. I perlukan safety untuk anak saya yg duk di belakang. U better go view current xv first before u comment …. As usual, their production model will be way boring than this.